Change things up with these side-trips from San Carlos de Bariloche: Mirador Belvedere y Cascada INACAYAL (in Villa La Angostura) and Villa Traful (Mirador Lago Traful & Bosque Sumergido). There's lots more to do: stroll through Catedral Alta Patagonis, fly down the slopes at Piedras Blancas, take in the awesome beauty at Cerro Otto, and hike along Circuito Chico. To find other places to visit, maps, reviews, and more tourist information, refer to the San Carlos de Bariloche journey maker . 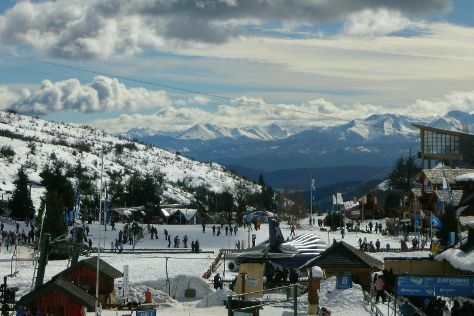 In July, daytime highs in San Carlos de Bariloche are 7°C, while nighttime lows are -2°C. Cap off your sightseeing on the 22nd (Wed) early enough to travel back home.